BestSEO4u believes in making the client’s business succeed rather than counting the number of clients & years of experience. The company has its strategy, which is based on accuracy and no consumption, as the company delivers relevant criteria & data to match the need of the patron’s industry. It has the team of experts in different areas: writers, developers, coders, designers, marketing strategists, etc. ; each of them having good knowledge to craft an exceptional solution for the clients. Evaluation of different IT businesses on the basis of three set criteria – Quality, Reliability, and Ability are carried on, at GoodFirms, which is a trusted B2B research and review platform. These criteria perform a major role in deciding out the best companies; on the basis of which the patrons seeking for a particular service gets the list of the sorted companies, rated on their expertise. 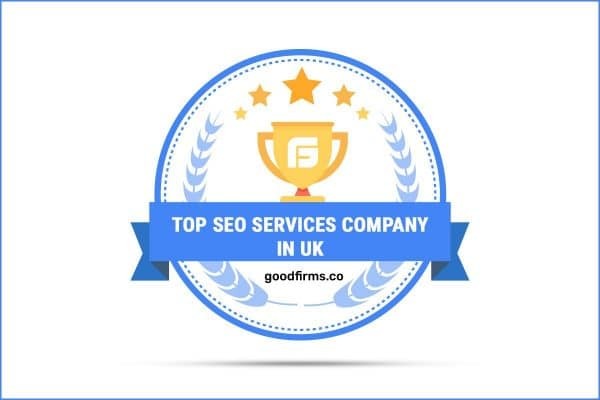 In the way, BestSEO4u had been passed through the evaluation process at GoodFirms, and it got position among the top SEO Companies in the UK. 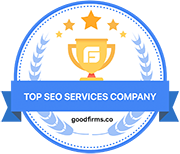 It was further concluded that the company because of its expert team will soon get recognition as the leading firm among the top SEO Services company at GoodFirms. BestSEO4U is an SEO London company that will change the user’s website status on the search engine outcomes from a list. The company will build the online repo of the user’s business from scratch through a different level of search engine optimization, which is very necessary for today’s online marketing trend. The in-house team of BestSEO4u is very well versed with communicating & exchanging of the ideas, which end results in perfect solution delivered to each client in terms of the agreement with the brand, market/industry & goals. The team is more focused on two areas of work besides the expansion strategy, which is – On-page SEO & Off-page SEO which not only evaluates the capability of the website but also appraise its present situation & unfolds the viewpoints which are needed to improve, and therefore, BestSEO4u also delivers an SEO audit service. Whether its a startup or an established business in London, BestSEO4u provides talented professionals to escalate the sales of the patrons’ business. This feature of the company allows it to lead amongst the top SEO companies in the UK enlisted at GoodFirms. BestSEO4u is rendering services in creating websites & applications with effective solutions to meet the client’s requirement. The company provides different services in web development like – web hosting, website designing, branding design, and WordPress management. The expert in-house team of the company works on making the future task of the different firms easier by delivering the solutions, which enables the patrons to manage the content, new posts and so on. In-house expert WordPress theme designers create stunning original designs that attract the clients. Along with the complimenting branding service, the patrons get an excellent online concept to suit their businesses! 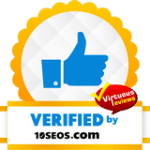 This feature of the company expects it to lead among the best web development companies listed globally at GoodFirms, which can be proven from the below-stated review. BestSEO4u web designers are knowledgeable of the drifts and the demands of users. 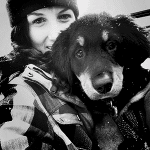 The team will make sure to create a website which is responsive and easy to access. The client should not miss out any opportunities – of having a responsive web design that focuses on the priorities. Thus, the team of experts will ensure that the user’s online presence will be strong, regardless of how visitors choose to view it. The well-versed web designer team combine the website(S), blogs and web store to develop an endless result & experience. The GoodFirms Research team believes that because of the knowledgeable expert team of BestSEO4u in every arena, the company can lead globally among the top web designers displayed at GoodFirms. Washington, D.C. based GoodFirms is a maverick B2B evaluation and reviews platform that manages its efforts in getting the best SEO companies, web design development and web development companies providing outstanding services to its clients. GoodFirms’ large analysis process lists the firms, increases their online reputation and helps service seekers to pick the right technology partner that meets their business needs.